Strategically located in a business park, these fully equipped office spaces are available at flexible rental terms to meet any of your needs. Furnished to a high standard and provided with spacious conference rooms, kitchens and on-site bistro, these offices offer a high professional working environment, ideal for companies of various size and entrepreneurs. Well connected to various motorway junctions and to Dusseldorf airport, this business district is served by numerous bus and tram routes and other public transport links. Close to Königsallee shopping street this space is in the heart of Dusseldorf. Numerous companies from various sectors and internationally successful companies have their headquarters here, making it a great location for networking. Here, you can benefit from complementary beverages and 24 hour access, allowing you to work through late hours. There are also supermarkets close by which provide all the mundane services/amenities you could require. Offices are fully furnished and provide High Speed Internet, a flat-rate for refreshments (water, coffee specialities, tea and beer), 24/7 access as well as a daily cleaning service for your convenience. The space is situated in the very centrally located “Berliner Allee”, and is surrounded by restaurants with international cuisine, making this the perfect location in which to entertain clients in impressive atmospheres. Located in the city center of Dusseldorf, this premium and modern business centre offers contemporary and spacious office spaces with excellent infrastructure to get you started. The building offers 24 hour access to members, allowing you to work at your own pace and around the clock. The centre offers high speed internet, meeting room access and printing facilities. 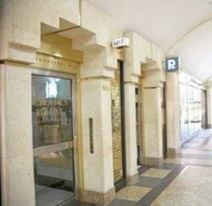 The building is surrounded by plenty of local amenities including trendy cafes, restaurants and public transport links. Located between the scenic Hofgarten and the world famous shopping street Königsallee, this award-winning well-known landmark building is home to modern and contemporary flexible office space on the 14th floor with an interior inspired by the renowned interior designer Eric Kuster Metropolitan Luxury. There are excellent transport links and countless national and international operating companies in the near surroundings. This fantastic centre is sensationally situated just off the famous Königs Alle. The centre offers an elegant and simple office environment, ideal for promoting professionalism and efficiency. Offering all the modern facilities a business may need- for example: a desk with expandable cupboard, desk chair and lighting. Across from the centre you can recreate in the midst of an idyllic garden or visit the famous Städehaus with its new art collection K21. Modern offices and spacious meeting rooms are available to let in this building, excellently connected to the city centre and close to the main railway station. Fully furnished to a high standard and equipped with state-of-the-art technology, they benefit from high quality services and facilities to offer you a highly professional working environment. This centre is conveniently situated on the outskirts of Düsseldorf, within very close proximity to the train station. Düsseldorf town centre is just a short distance away, where you will find numerous restaurants and shops. This corporate centre is based within a visually impressive office building in one of Düsseldorf's premium corporate districts. The workspaces feature a range of state of the art facilities and office equipment including spacious training rooms, videoconferencing capabilities, dedicated private telephony networks and professional reception services for all tenants. The local area includes a number of shops, restaurants and retail outlets; as well as benefiting from a range of convenient transport links. In the borough of Carlstadt stands this stunning business centre. Your business will benefit from meeting room access and a professional secretarial team to greet clients. The centre offers both private and coworking spaces with options for a dedicated desk. Outside of work, you can enjoy the area's fine selection of restaurants, bars and cafes, as well as the buzzing atmosphere from both local and international businesses. There are many bus stops surrounding the centre, as well as train stations to take you in and around the city. Here, you're also supported by an approachable on-site admin team. This team can help you with any questions you may have about the offices including; telephone answering, mail handling and greeting your clients. If you meet with clients often why not book out one of the on-site meeting rooms creating a professional working environment. And, just 10 minutes away, the beautiful Franken Square park and garden provides a serene space in which you can relax. This stylish contemporary building offers well-equipped furnished offices and a range of business support services. The airport is 10 minutes away, and the train station is directly opposite, making local and international access as simple as possible. Nearby, various dining options are available for you and your clients. The centre is accessible 24/7 with round the clock security for your peace of mind. In the heart of the attractive office district on Kaiserwerther Straße this stylish and exclusive business centre is equipped with luxurious interior design to provide modern and prestigious office space. Due to the central location of the business centre you can reach several underground train stations as well as bus stops within a few minutes. Also, the Dusseldorf International Airport is not far from the business centre and therefore the regional and international connection is very good. Car parking is available at the building. This brand new and contemporary business centre offers innovative office solutions in a prime area. Located right beside Dusseldorf Hafen the centre benefits from excellent public transport links including buses that pass through the area frequently and a tram stop only down the road. The centre offers a range of workspaces on flexible terms, including furnished and unfurnished offices, collaborative desks, hot desking and meeting rooms. You can also benefit from this impressive location using just virtual office options. All workspaces benefit from excellent facilities including 24 hour access to allow you to work flexibly, cleaning services, reception services and free beverages. Offices of various sizes will be soon available at flexible rental terms to suits needs of any businesses. Set within a brand new business centre, they are provided with a wide range of facilities and services, including parking facilities, virtual office services, fully equipped conference rooms and high quality secretarial and telephone services. Surrounded by restaurants, hotels, shops and banks, this centre benefits from its vicinity to the railway station and to several public transport routes. This wonderfully designed centre is located in Dusseldorf, which is valued for its connectivity to the rest of Europe; perfect for international business. This prestigious centre provides a range of office solutions, as well as a courtyard garden, roof terrace and more. The building has achieved LEED platinum certification for its green sustainability and is also highly accessible from across Dusseldorf and beyond. Boasting a total view over the Ko-Graben this modern centre provides spacious, comfortable meetings rooms from an impressive location on the Konigsallee. Members have access to a sun terrace ideal for networking or just enjoying a spot of lunch. For instance, you can benefit from the centre's 24 hour access, cleaning services, IT support, and reception services. Just a short drive away, you can reach Düsseldorf Arcaden shopping centre. This superb historical building consists of office spaces, recently renewed to a high standard to offer you a unique combination of modern style in a charming historical environment. Equipped with the latest technology and communication systems, these elegant spaces offer ideal office solutions. They benefit from an exclusive location in the heart of Dusseldorf, along the most attractive and renowned street of the city. A selection of modern and bright offices is available to let right in the heart of Dusseldorf. Available in various sizes, they are equipped with state-of-the-art technology, meeting rooms and advanced communication systems to help your business flourish. Within walking distance of the central railway and underground station, they benefit from direct access to the motorway, which leads to the airport and numerous locations. Conveniently located in the most attractive business district of Dusseldorf, this impressive building offers modern office spaces, provided with a full range of services and facilities, including meeting rooms, advanced videoconferencing facilities, touchdown stations, lounge areas and administrative services. Surrounded by a variety of amenities, this building is well served by public transport, with bus and tram stops located within walking distance. Experience visionary working spaces in a premium location, with a team that represents you competently. With a choice of 21 soundproofed offices this business centre spans 780m² and also provides co-working options and meeting rooms suitable for up to 12 people. The historic, listed building is near the main railway station in the heart of Dusseldorf. Competent secretarial services can be booked on request to provide organisational support. Situated directly at the Schadow-Arkaden, this space is directly opposite the shopping exchange, where there are lots of cafes, shops and restaurants to explore. There are also hotels within reach at which to accommodate visiting clients. The centre boasts a range of services and facilities, including meeting rooms, on-site coffee bar, telephone answering services, printing, copying and faxing access, high-speed internet, plus technical support for your convenience. This modern business centre offers a selection of offices of various size and spacious meeting rooms, all provided with the latest telecommunication solutions and equipped with reception and answering services. The centre is located in a famous area of Dusseldorf and offers a prestigious business address which will give your company a strategic presence. Just a short drive away, you can find the town centre, where there is a selection of public interest hot spots to observe, such as museums, historical monuments and an opera house. Located right next to Dusseldorf Airport, this centre has a prime location within an extraordinary new building with flowing curved architecture. It benefits from being so close to the airport and the host of amenities there as well as being ideal for domestic and international travel. This centre is the perfect solution for forward-thinking businesses who anticipate or would like to maintain international relationships within an impressive, well-designed space. Modern offices are available in this stylish business centre which offers onsiteparking, on-site restaurant and all the services and facilities needed to run a successful business. With 24 hour access, you can come and go when you please, and work through late hours. These offices are conveniently located 10 minutes away from the city centre. Well connected to the airport and the major motorway junctions, the centre is served by various public transport routes. 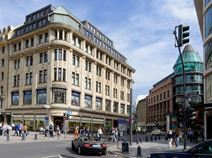 This office space has been set up to cater for advisers, consultants and lawyers and can be found in the Pempelfort district, right in the heart of Dusseldorf. As well as serviced office space the centre also provides three meeting rooms that are suitable for up to 12 people. You are also provided with many opportunities to expand your presence, as you will have access to the in-house networking events. Set in a landmark building, these offices are provided with a full range of high quality services and facilities: the latest technology and high speed internet connection, professional reception and administrative services, spacious meeting and conference rooms to offer a first-class working environment. The building is conveniently linked to Dusseldorf airport and well connected to the major motorway junctions. This centre is located within Dusseldorf's historic district surrounded by museums, castles and other historic landmarks. By joining this community you will be becoming part of a working environment which is filled with professional minds a-like with imagination, pro-active thinking and over-achieving. The terms are very flexible meaning they can be tailored to your company needs and you can add or remove workstations as and when you need them. You will have 24-hour access and the friendly on-site management team will assist your with greeting clients and admin duties so that you can focus on your business. Dusseldorf Central station is just 10-minutes away and the centre is surrounded by local bus stops and tram stops making commuting to and from the office very convenient. You also have many restaurant, bars, fast-food outlets, hotels and shops within the area ensuring you have everything you could need to make this an ideal professional base for your company. A selection of office spaces is available to let in this strategic location, excellently served by public transport. Modernly furnished and equipped to a high standard, these offices benefit from parking facilities and a full range of services to offer you an ideal working environment. There is a range of support services available to assist in your daily operations, such as reception services and on-site administrative support. This brand new building is set in one the most prestigious areas of Dusseldorf, surrounded by luxurious restaurants, banks and numerous amenities. It consists of first-class office spaces provided with a full range of services and facilities. Located in the middle of the river Rhine, these offices enjoy a stunning view over the harbour and the city and offer a highly professional environment, which will contribute to the image of your business. They are excellently served by public transport and well connected to the international airport. This business centre located in the heart of Dusseldorf offers co-working desk at affordable rates. The space is accessible is accessible 24 hours a day making it a great place if you don't work the normal 9-5. There is access to on-site meeting rooms ensuring you have a professional environment to host business meetings. Buses run through the area often and the closest train station is a short five-minute. Directly at MedienHafen this brand new business centre provides private offices and co-working areas with modern interior design throughout. The centre provides modern phone booths for uninterrupted calls, ensuring absolute privacy. Whether you use the reception area, the conference room, event space, lounge or bar, the workspace has different spaces available for internal meetings or for hosting important business partners. All within an impressively designed building close to the Rhine. An impressive centre situated on an idyllic pier with great views over the harbour and city itself. The office building is modern and elegant with a glass-front and provides a range of furnished office-spaces available on flexible terms. Professional amenities here include spacious meeting rooms, business lounge access, reception area and high-speed internet connection. In addition, plenty of local amenities can be found in the immediate vicinity including several restaurants, bars, hotels and shops. Located in one of the most attractive addresses of Dusseldorf, this building offers high standard virtual office services on top of a range of support facilities. Equipped with air-conditioning, advanced technology, cybercafé and lounge area, it offers ideal office solutions. These offices enjoy a stunning view over the Rhine and the harbour and benefit from excellent transport links and the vicinity to the airport. Floor plans here are very flexible, which is great for businesses that have expansion plans in the future. The office space is spread across two separate, but linked buildings, providing a total of 18,300sqm of flexible floor space. This impressive office complex is close to two major roads - the A46 and A57 Autobahns. This fantastic location makes travelling to other areas of Germany exceptionally easy.